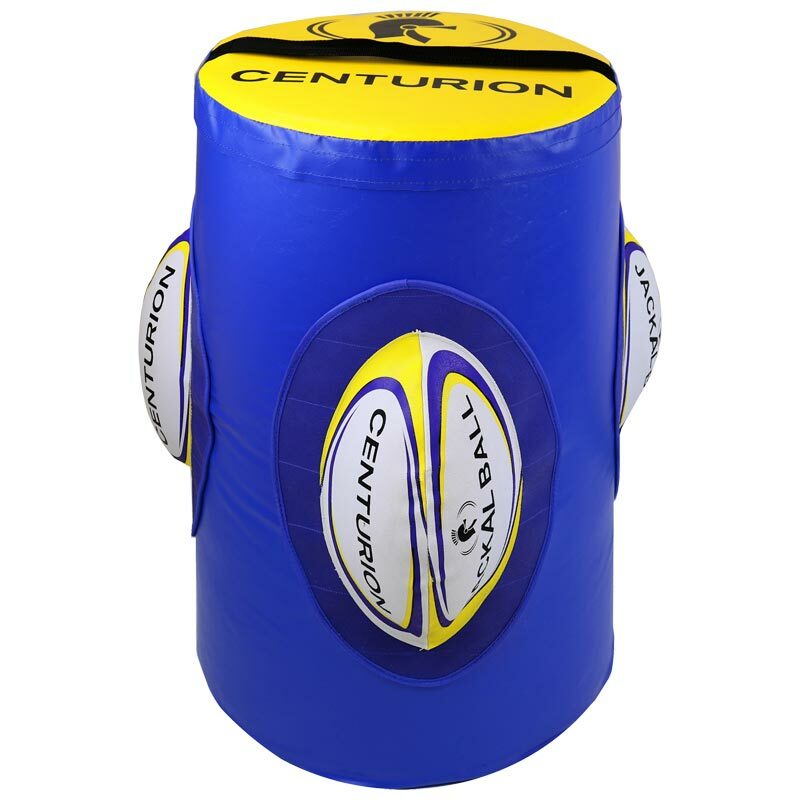 The Centurion Jackal Bag is an exciting new concept for tackle and turn-over training for both amateur and professional clubs. Ideal for tackle and turn-over training. 3 specially developed half rugby balls sewn into the sides for players to attack. Foam core cut from solid block with centre ballast section. Heavy duty PVC, waterproof cover. Junior - 38cm diameter x 69cm high.